This coiled vessel was made by the late potter, Maria Martinez. Maria worked in the tradition of her families village, the San Ildefanso Pueblo. The work of Maria is notable in many ways, the first and most obvious is the elegance and mastery of the work, but possibly more significant is the way the these pots draw from a long tradition of forms and making techniques, but push those conventions into contemporary art pieces that engage a modern audience. Innovation and tradition are hallmarks of the contemporary coil pot. This video documents Maria’s making process, from digging clay to firing pots and is well work the time to watch. The history of coiling vessels from clay is nearly as old as fired clay in the archeological record. 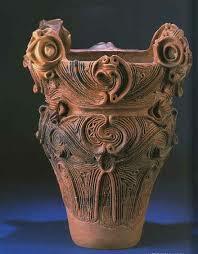 Some of the oldest coil pots in the world come from the Jomon culture of Japan. 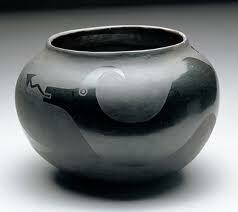 The earliest of these pots were made around 15,000 years ago. The oldest are simple cooking pots, but as the culture continued the work became increasingly ornate. This link is a nice discussion of the history and techniques of Jomon pottery with many good photo illustrations. Contemporary ceramists use coils to create a variety of forms that include both sculpture and vessels. 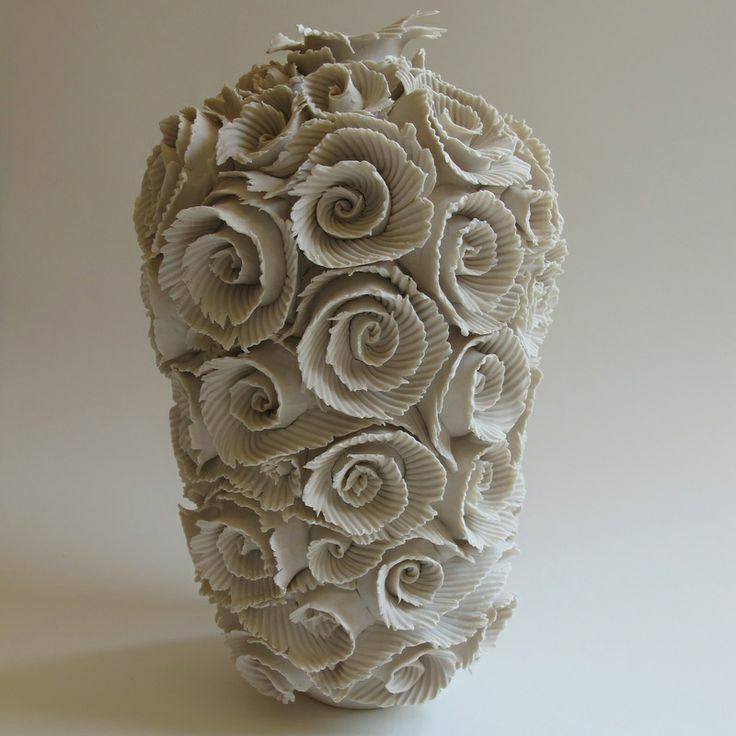 Many artists, such as Teresa Brooks, who made the vase pictured above , combine sculptural principals with more traditional pot forms to create dynamic art pieces that shake up the conventions that are often associated with coil made work.